Home » inception , movies , predators , reviews , the a-team » Chris is so lazy, he reviews PREDATORS, THE A-TEAM and INCEPTION with one post! 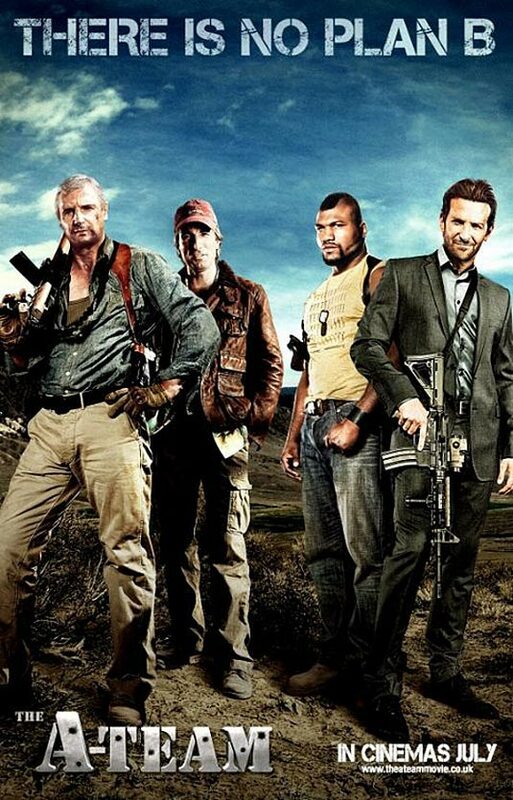 Chris is so lazy, he reviews PREDATORS, THE A-TEAM and INCEPTION with one post! Dear Lord, it's worse than anyone thinks. Y'see, so far this summer I've only seen three movies. What does that mean: that there just ain't as much good stuff playing down at the cinema this season? More likely, it's that I've been so bogged-down with working on various projects that I haven't had much time to indulge in what is usually something that I look forward to each year: namely, summer blockbusters. But somehow or another I've gotten to see the following, and will share my thoughts on them accordingly. This was the first movie I've seen in a theater since April or May, and I saw it on opening day with my filmmaking partner "Weird" Ed. And I was very pleasantly surprised at how well this turned out. The Predator franchise holds a special place in my heart: Predator 2 was the very first movie that I saw after getting my driver's license. Maybe that's coloring my perceptions but I've never understood the flak that movie seems to get. Alien vs. Predator was okay, and I haven't seen Alien vs. 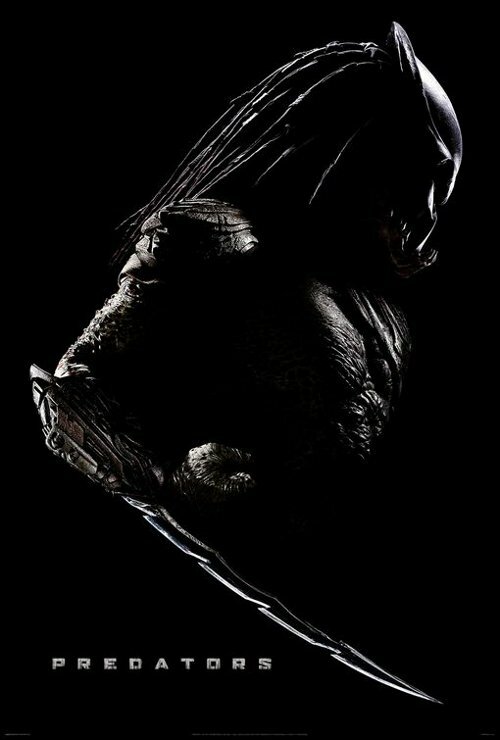 Predator: Requiem yet (I've a cousin who swears its better than most people say it is). With Predators, we get a smart and fresh throwback to what started it all: the John McTiernan-directed 1987 sci-fi action thriller that was almost certainly the first film ever to feature two future state governors (when does Carl Weathers get his turn, anyway?). Instead of it being one unseen alien hunter stalking his prey in the jungles of Central America, Predators brings some of the most cold-blooded and capable soldiers and murderers on Earth to the game preserve of an extra-solar planet: pawns in the games of several Predators. This isn't a movie focusing on the Predators as a species or a culture. Rather, Predators follows the formula that made the original film work so well: making it the story of the humans and how they cope and try to survive their predicament. What the heck the Predators are exactly, is just two scoops of ice cream and a cherry on top of the real meat of the tale. And with a strong cast including Adrien Brody, Topher Grace and Danny Trejo among many others, director Nimrod Amtal and producer Robert Rodriguez deftly play up the characters' strengths and weaknesses against each other. My one big complaint about Predators is that Laurence Fishburne's character could have been turned into something much bigger and more compelling. As it is, he's barely in the story. But that was my only real quibble with Predators. Perhaps the sequel(s) will make up for it. The film ends on, not the most ideal note but certainly one holding more promise than any other Predator film that I've seen. I'll be looking forward to seeing where Rodriguez takes it next. So far this is my favorite movie of the summer, because The A-Team is everything that a summer blockbuster should be: big, dumb, loud, outrageous and fun! Now being a good child of the Eighties, I was of course leery at how the much-beloved television series would translate to the big screen. Well, The A-Team succeeds in much the same way that 1993's The Fugitive triumphed as a movie: by not trying to be the original basic material of the television show. How should I put this? Okay... this is the A-Team. It's just not The A-Team of the series that ran on NBC... and it doesn't have to be either. This is still about four crack commandos who get sent up the river by the United States government for "a crime they didn't commit", then "promptly escape" to become soldiers of fortune. All of the classic elements from the show are here, like B.A. 's van and Hannibal's plans. It's just different. Like how Frank Miller gave us a different Batman in The Dark Knight Returns and wound up giving that character a revolutionary and direly-needed makeover. Two examples of this stick out in my mind. First, Liam Neeson as Hannibal Smith. Neeson knows he's not George Peppard and that's fine: he's not attempting to channel Peppard's spirit into his own take on Hannibal. Instead, I saw Neeson bring his own talents and perspectives to the role: there's a kind of gravitas in 2010's Hannibal Smith that perhaps Liam Neeson is the only actor who could have done this with. I appreciated and even admired that. And then there is Quinton "Rampage" Jackson as B.A. Baracus. The role that Mr. T played on the TV show (by not doing much more than just being himself). How the heck does anyone portray Mr. T as a character without it being Mr. T himself?! Again, as with much else in this movie, the answer is "by not trying to be Mr. T at all". Make no mistake: that is B.A. Baracus you're seeing in The A-Team movie. It's just a different interpretation of the character: one that is perhaps driven to more wild extremes of both kick-assery and penitent humility. How B.A. Baracus was handled was the biggest hurdle that this movie had to overcome in my mind in order for it to work... and with Quinton Jackson in the role it succeeds brilliantly. But I can't let a review of The A-Team end without also saying something about Sharlto Copley as Murdock. The Howling Mad one is a scream to behold. In every scene that he's in (and thankfully there are many) Copley's Murdock brings a teetering, dizzying and completely crazy compelling performance. Sharlto Copley is fast emerging as one of my favorite people to watch on screen, between District 9 last year and now The A-Team. Not bad for a guy who not long ago was a filmmaker behind the camera, aye? The A-Team is the first movie in awhile that I left the theater looking forward to buying the Blu-ray on the day it's released. But don't wait for that if at all possible: go check it out now while it's still playing on the big screen. I want, nay, need to see Inception again. As with The A-Team, I'm also planning on getting the Blu-ray of this as soon as it comes out. And if my previous experience with The Matrix DVD is any indication, my Blu-ray machine will likely be spinning Inception more than any other title on my shelf in the foreseeable future. 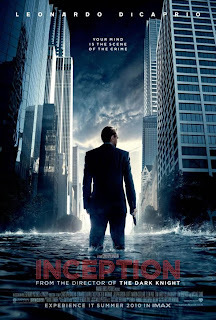 I guess Inception qualifies as a science-fiction film. But it avoids the trap that too much of the genre falls into: namely, giving more time to the intellect than to the emotion. Inception barely gives us the nitty-gritty nuts 'n bolts of shared dreaming: we find out that it was originally developed by the military as a training method, before it wound up in the black market world of corporate espionage. And we do find out how stealing from a dream works: what the role of an architect is, what a "kick" is, etc. But those represent what is merely the slick and fresh patina on the real core of Inception: an exploration of the human condition by way of a newfangled take on the old-fashioned heist film. This is a $160 million art-house movie: the kind of film that will be discussed and dissected at length for many years to come... and rightly so. 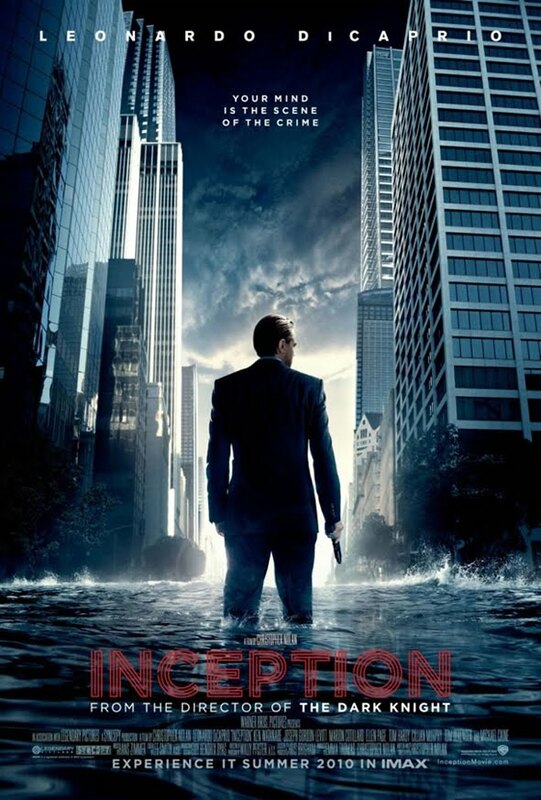 I don't know what else to be said about Inception that hasn't been said already by very many other people. This is certainly one of the best movies that I have been able to catch in quite a long time. And I'm looking forward to possibly seeing it again this weekend. So that's what I've seen this summer so far. Still ain't watched Toy Story 3 (and you wouldn't catch me dead in a screening of Eclipse). And now that I'm caught up on that, I can be more timely in writing other movie reviews this summer.